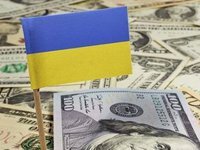 Ukraine's Finance Ministry on March 1, 2019 paid the seventh coupon for loan participation notes (LPN, eurobonds), the press service of the ministry has told Interfax-Ukraine. The ministry said that the total sum paid was $444.4 million. As reported, these notes were issued as part of a debt operation conducted by Ukraine in 2015 with state and guaranteed state debt, as well as the restructuring of foreign borrowings of Kyiv city, Ukravtodor and state-owned enterprise Pivdene (Yuzhnoye) Design Bureau (Dnipro). The interest rate for all these bonds was set at 7.75% per annum. Interest income is accrued and paid twice a year - on March 1 and September 1, starting from March 1, 2016. The maturity of the notes is September 1 of the corresponding year - from 2019 to 2027. The total amount of the first coupon payment was $473.313 million, the second, third and fourth – $505.429 million, and the fifth – $444.4 million and the sixth – $444 million.